The Driver and Vehicle Standards Agency (DVSA) has won an international road safety award for its work improving load security. The Prince Michael International Road Safety Award recognises DVSA’s commitment to improving the security of loads. I’m extremely pleased that our work to educate drivers and operators on the importance of load security has been recognised in this way. DVSA will continue to take action against those who transport unsecure loads as they are putting themselves and other road users at risk. At the heart of the really successful programmes whether they be large or small lies partnership. It is rare that a successful intervention can be delivered without bringing together a number of organisations or agencies. Mark Horton and Ronald Arnott from DVSA Traffic Enforcement Policy Team were presented with the award on 8 December 2015. The Prince Michael International Road Safety Awards recognise achievements and innovations which will improve road safety. 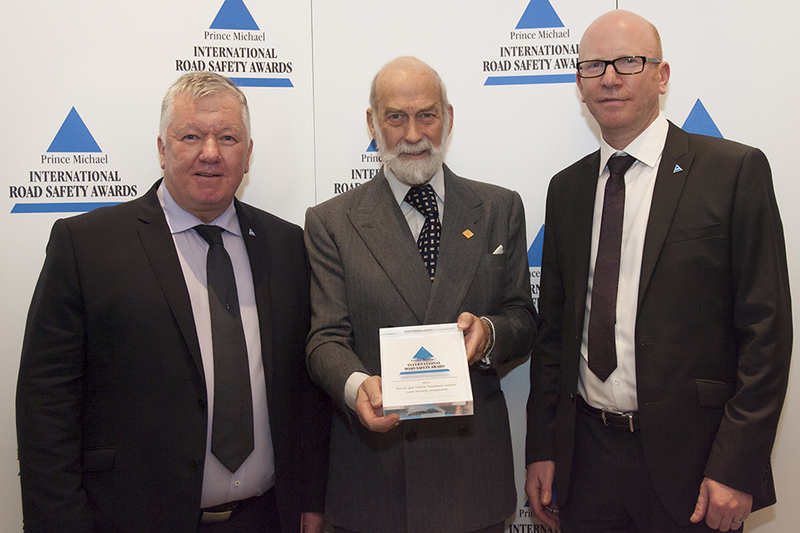 FTA is delighted that DVSA has received the Prince Michael Road Safety Award. Having worked with the association and other industry stakeholders in creating the road securing guide, it is clear how important the document is to assist operators in the transport and supply chain industry to understand methods of securing loads, and to improve compliance with load securing standards. FTA firmly believes that the level of compliance for load securing has improved as a result of this work which is a positive step towards road safety, and the easy to understand guidance has played a part in this. Guidance is a result of collaboration of industry, and this award is clear recognition of how it has changed the way organisations in our sector work. Congratulations DVSA. The RHA congratulates DVSA on being awarded the Prince Michael Road Safety Award, for working with the RHA and other industry stakeholders in creating robust easily understood guidance on load securing for road vehicles. The level of compliance within the industry around load securing has improved considerably due to the work undertaken by industry stakeholders and DVSA positively improving road safety. This simple easily understood guidance will help to further improve this position changing the way the road transport industry perceives load securing now and in the future. Congratulations DVSA on producing this long overdue guidance. 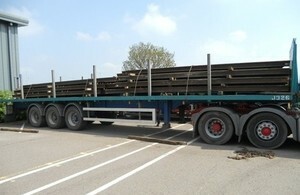 DVSA hopes its work to improve the security of loads will help to reduce the time people spend stuck in traffic queues. In 2014, Highways England reported 325 incidents of vehicles shedding their loads with the average lane impact of 86 minutes. The European Commission in Brussels have recently proposed a more consistent approach towards load safety throughout all member states. Worst first day at work? On July 16th a 55 year old driver was starting his new job as a driver for L.E.Jones Haulage, which involved delivering a load from Chirk to Liverpool.